If we want to stay fit today, we have to work at it. 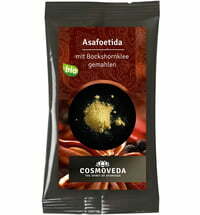 Ayurveda can also contribute to a healthy lifestyle. day, we have to do something for it. Ayurveda is also a good place to go. The modern world can boast of many achievements. One of them, is that few people in the western world have to do physical labour. This means that the demands of everyday life are no longer sufficient to maintain the performance of the body and mind. We now need to be active outside of work. If you really want to stay fit, you should get at least 30 minutes of exercise every day. The emphasis is on "moving", ie moderate physical activity. This includes a walk or gardening. For optimal health benefits, you should include 3 endurance training sessions and 2 strench training workouts to your schedule, training 20-60 minutes each time. The balance between strength, endurance, mobility, coordination and speed should not be neglected. Vata: Grounding programs such as gentle yoga or tai chi are recommended. These activities anchor us and serve as a foundation for our lives. From there you can build up. For this purpose a warming diet, regular meals and meditation are recommended. Pitta: Endurance or competition sports are optimal for people with this energy type, because they have a lot of ambition and are determined. Martial arts are also worth considering. Be careful though, do not over train! Getting out into the fresh air or going swimming are good types of exercise because they provide for additional cooling for heated Pitta types. Kapha: For this type, it is essential to experience movement sensually and to combine it with pleasure. Try dance, group glasses or moderate strength training. If you want to burn fat, strength training is also recommended. Vata Disorder: This disorder often occurs when we feel stressed or overwhelmed. Caution should be exercised in such a condition. An excess of movement worsens the situation. 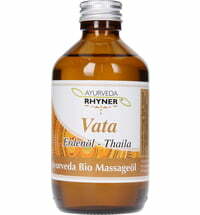 It is better to choose gentle movements such as Hatha Yoga or Tai Chi and supplement these with ayurvedic oil massages. Pitta Disorder: This disorder is noticeable through exaggerated ambition. Often people who suffer from this disorder forget that performance pressure is not equal to health. A carefully balanced sports program is recommended. Clear, concrete instructions with fixed goals help you keep from overdoing it. Kapha Disorder: Here movement is very important to keep your own weight stable and maintain your physical fitness. A Kapha disorder is best attacked from two sides: with diet and training. The diet should be as filling as possible with hearty meals. Your training should be as dynamic as possible to keep your circulation on track. Beware of overdoing it! The most important prerequisite for exercise is making sure that you enjoy them. Ask yourself the following questions: what kind of sports do I enjoy? What motivates me? Do I prefer to train alone or in a group? Do I like competition? What needs do I need to fill? It is very important to keep up a regular routine. Keeping to a schedule helps you stay on track, even if you just do a few minutes of exercise a day. Ayurveda Rhyner Dinacharya - "Time for Incense"